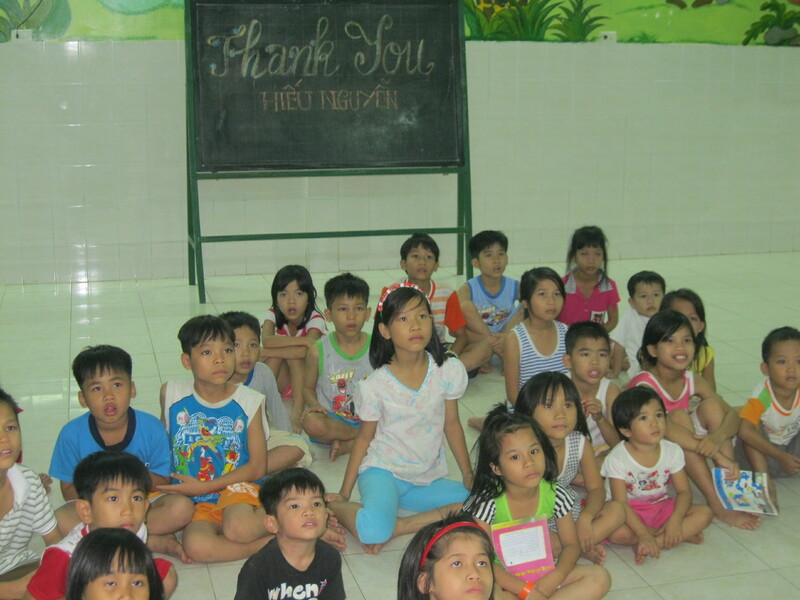 On February 21, 2016 we combined the generosity of two donations to make a wonderful visit to the Dai An Orphanage. 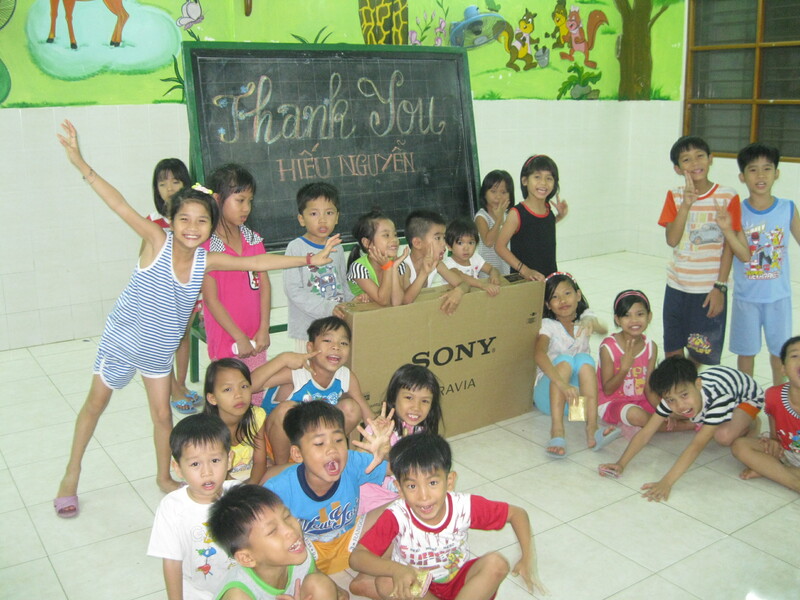 Dai An is located in the countryside south of Nha Trang. 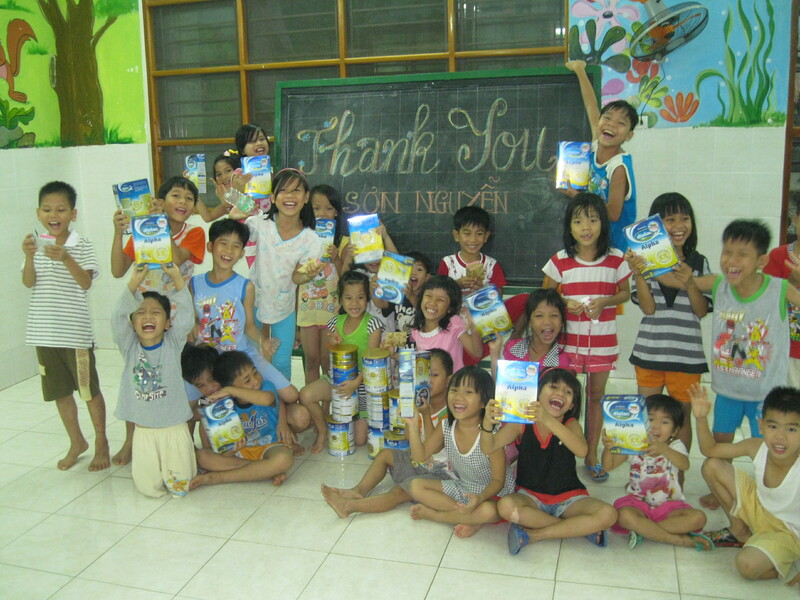 The sister orphanage of the Sunflower Orphanage, Dai An cares for only small children 10 years of age and younger. The caregivers had some special requests for this visit. From Mr. 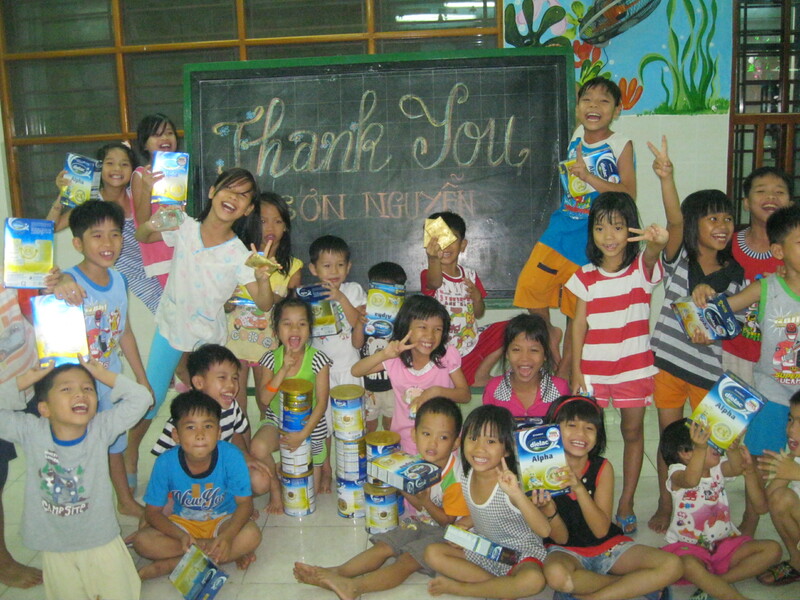 Son Nguyen of the USA, we brought a bounty of children and baby formula. 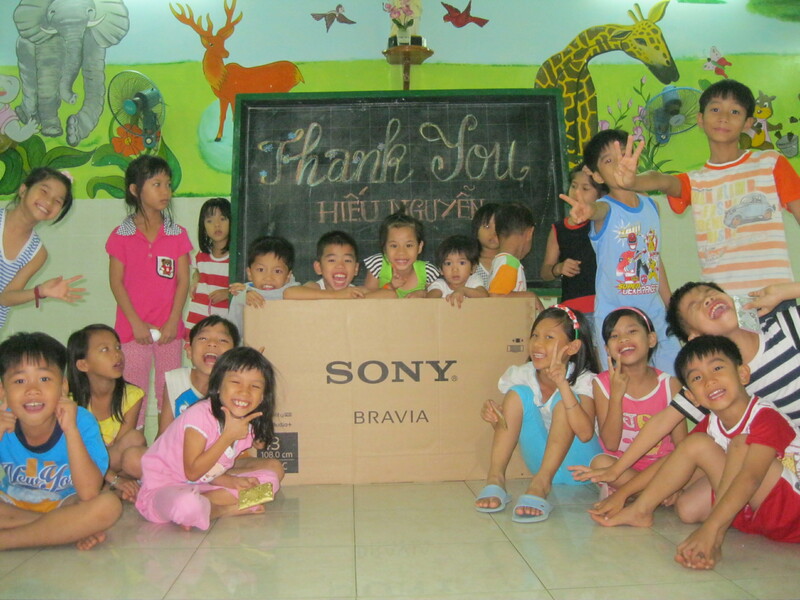 This ensures the children grow healthy and strong, and was a welcome sight for all of the youngsters. 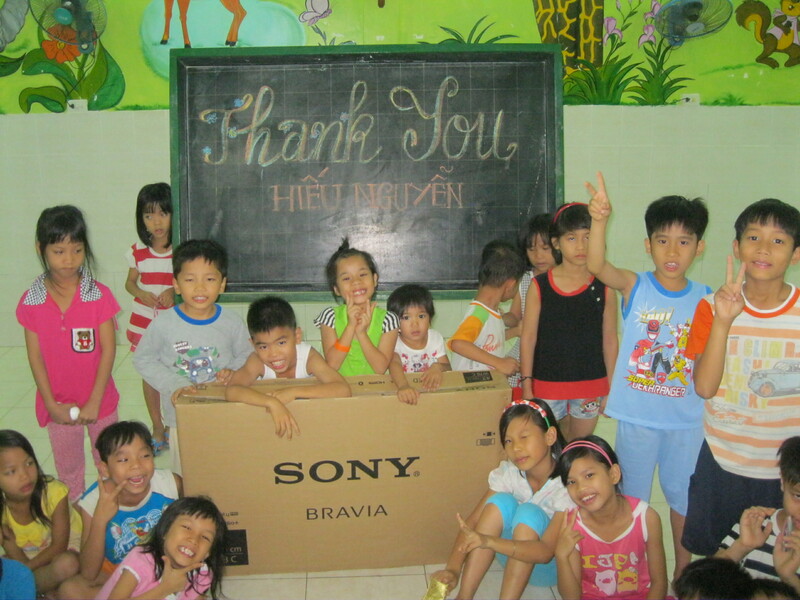 From Mr. Hieu Nguyen of the USA, we brought the orphanage a new TV. 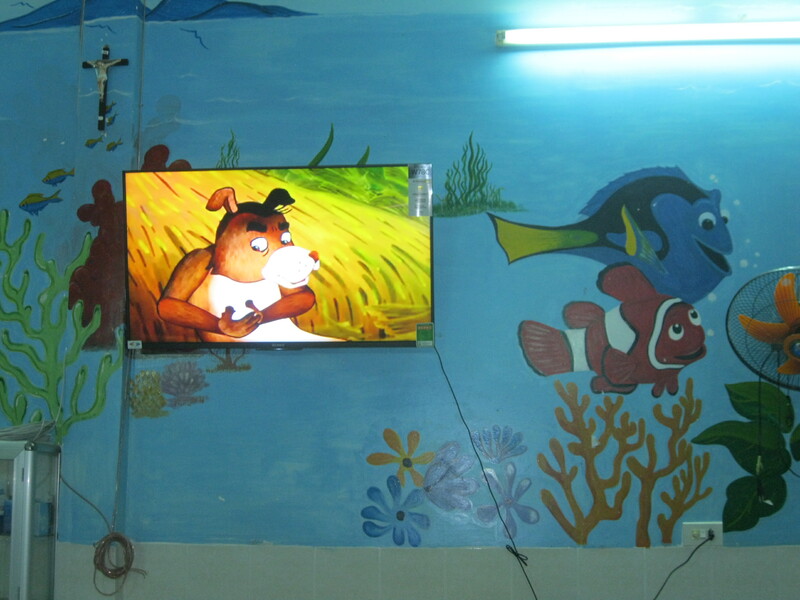 The caregivers play education videos for the children, as well as their favorite cartoons. 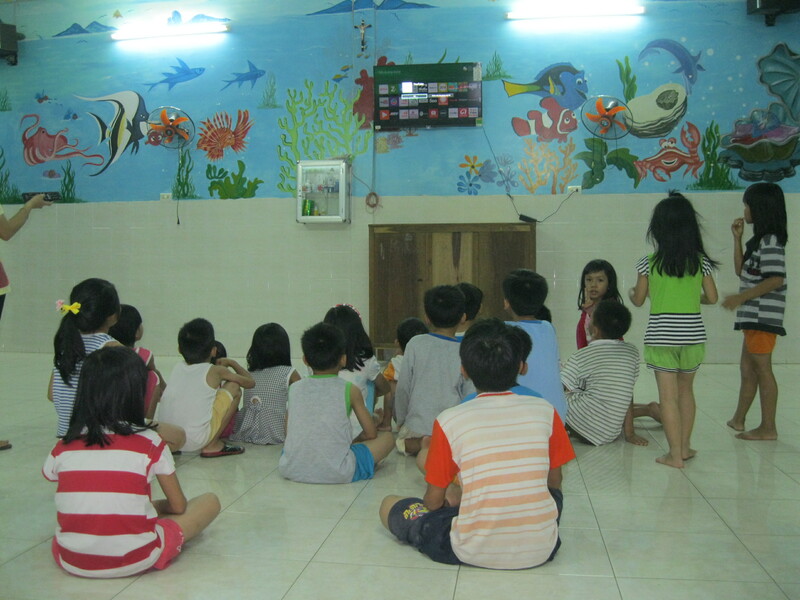 Their old TV had broken a while back, and once the new TV was set up, everyone crowded around the common room for cartoon-time. Thank you for this amazing visit!